Centre Point’s flagship restaurant VIVI is the ultimate all-day dining experience. Offering deliciously bold, seasonal menus which showcase the very best of British dining; our brasserie and bar a bustling hotspot for comforting age-old classics. Conveniently located in the heart of London’s theatre district; VIVI restaurant is open for early morning breakfasts, lunch and afternoon tea, weekend brunch, as well as being the perfect venue for pre-theatre meals and evening dining. This is where to eat in the West End. 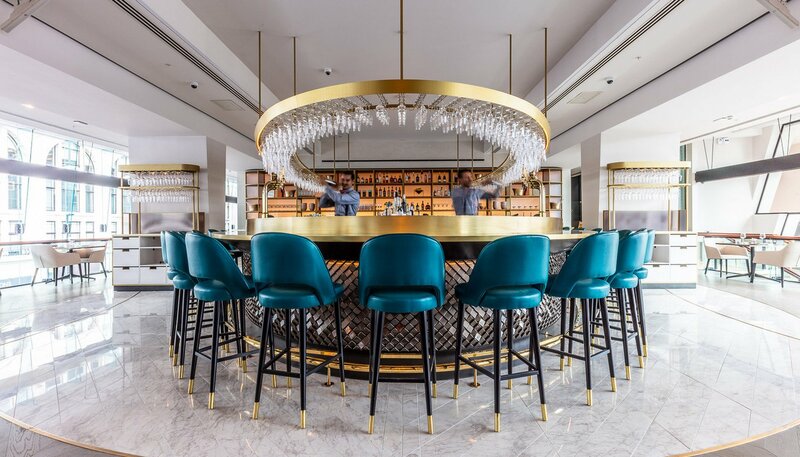 VIVI has been cleverly zoned into four key spaces; The Dining Room,The Bar, The Gallery and Liquid Lounge each bringing a different character to suit your dining requirements. VIVI's beautiful dining room is open day to night; serving a wide range of breakfast options, light lunches, indulgent afternoon teas, and traditional British dinners. Retro classics have been reinvented, beautifully presented with an innovative twist. The Dining Room is open day to night, serving a wide range of breakfast options, light lunches, indulgent afternoon teas and traditional British dinners with a twist. The Bar at VIVI is a destination cocktail bar serving a sophisticated and imaginative drinks menu to enjoy alongside a concise menu of VIVI bites and light snacks. The Gallery has a more informal and relaxed layout to the main Dining Room. With long sharing tables perfect for lone diners, time-short guests or large groups. Guests in The Gallery can enjoy breakfast, lunch and dinner or order dishes from the main Dining Room. VIVI’s Liquid Lounge is open from 8 am daily, with a menu of healthy smoothies and juices, virtuous porridges and breakfast bowls. This area transforms throughout the day into a casual lunchtime spot, afternoon tea destination and cocktail and dining lounge by dusk. VIVI also offers two beautiful private spaces each seating 14 guests and offering an elegant and intimate dining experience. Email us directly to enquire.